Black tea is one of the most consumed beverages in the world. It is a classic go to when people feel under the weather or when they simply want to warm up with a hot beverage. Black tea is also revered in some societies due to its impressive health benefits. Black tea may help protect heart health, accelerate weight loss, and even replace your cup of joe each morning. Black tea is produced mainly in Asia and Africa and boasts a wide flavor profile. Some black teas are sweet and subtle while others are robust and pungent. With thousands of options, it can be hard to figure out which black tea is the best. 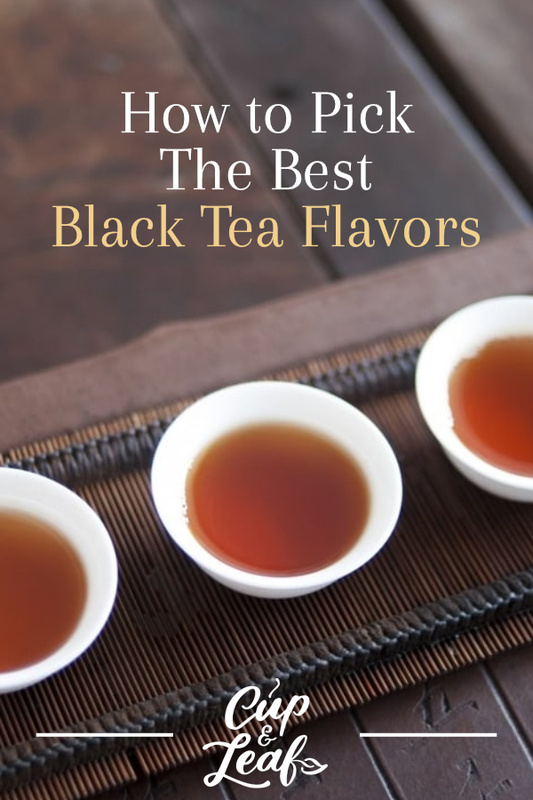 We've put together a handy guide to help you discover black tea flavors that suit your tastes. 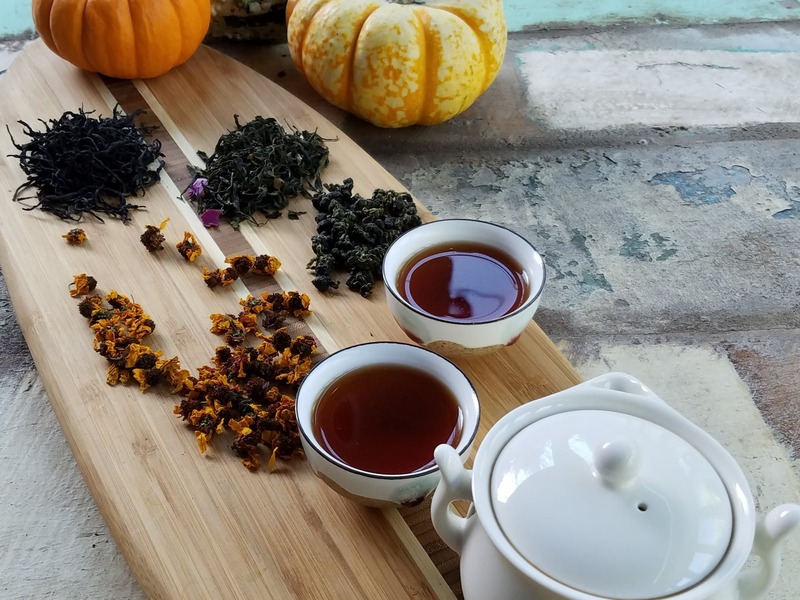 Want to get your hand on the most delicious, robust teas, check out our collection of the best black teas right here. Black tea is a true tea made from the leaves of the Camellia sinensis plant. This tea plant is responsible for producing other true teas including white tea, green tea, and pu-erh tea. Black tea is known as the most robust true tea when it comes to flavor and aroma. Black tea offers a strong, malty flavor that varies depending on where and how the tea is cultivated and produced. Black tea is also commonly used as a base tea in herbal tisanes and flavored teas. Black tea is available in loose tea, tea bags, balls, and cakes. Most black tea is classified by where it is grown and cultivation is dominated by China, India, Sri Lanka, and Africa. 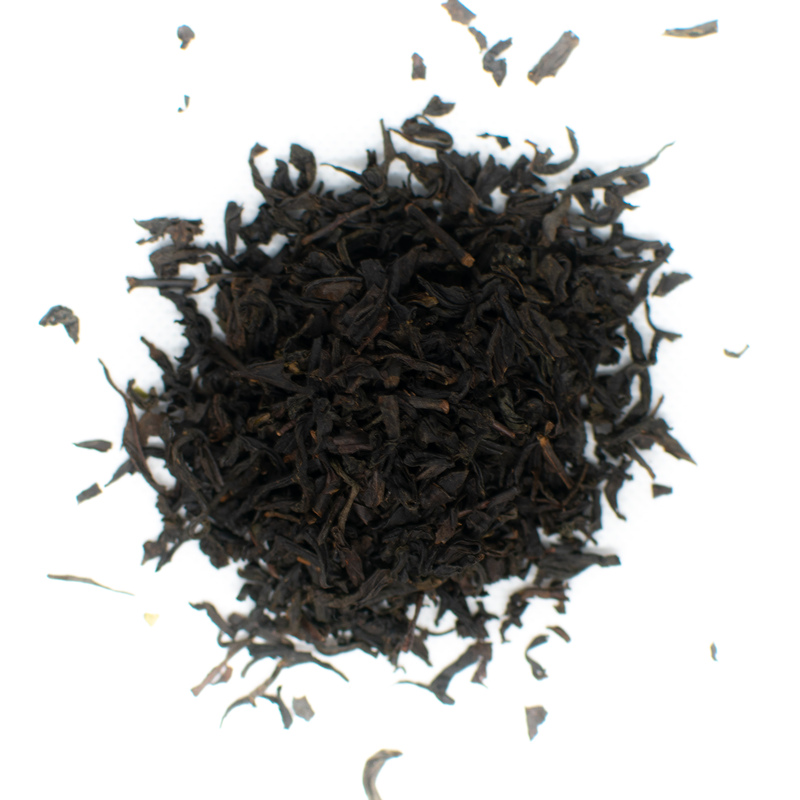 Assam black tea is a bold, malty black tea and is among the best sellers in the category. This tea comes from the Indian region of Assam, which is the largest tea producing region in the world. Assam tea comes from the assamica variety of the Camellia sinensis tea plant. This specific tea strain was discovered by British settlers in India and became the foundation on which Britain built a tea empire. The British used the new tea strain to compete with China's existing monopoly on the tea trade. Assam black tea boasts a crisp finish and an earthy flavor that works especially well as a base for flavored teas. Assam is commonly used as the base for masala chai as well as breakfast blends. These teas are grown in tropical climate with high amounts of rainfall. The resulting flavor is similar to chocolate. Darjeeling tea is cultivated in the high mountainous region of Darjeeling India, which is located in the state of West Bengal. Darjeeling is often called the 'champagne of tea' thanks to its delicate flavor profile. Darjeeling teas vary in flavor depending on which season they were harvested in—these are referred to as flushes. Typically, Darjeeling tea leaves are harvested four times per year starting in early spring and concluding in late fall. The first flush occurs in spring and produces Darjeeling teas that are light in color and have a mild flavor. The second flush occurs in June and produces a full-bodied black tea that has notes of spice and musk. The third flush occurs throughout the rainy season and produces monsoon Darjeeling tea. This type of Darjeeling is mainly used to make black tea blends. The final flush occurs in late fall and these leaves contain the highest concentration of tannins. That means these Darjeeling teas have a stronger flavor. Nilgiri black tea is cultivated in the Western Ghats Mountains of Southern India. This tea is also commonly called Blue Mountain tea. Small growers produce the vast majority of Nilgiri teas in India. To keep costs low, many of these small growers sell their leaves to a larger tea company for production. These teas are among the highest grown teas in the world, with some plants cultivated at more than 8,000 feet above sea level. Nilgiri tea offers a slightly sweet flavor profile with hints of fruit and a medium body. Nilgiri tea is particularly suitable for iced tea because it does not get cloudy or bitter when brewed. Most Nilgiri teas are produced using machines and sold as tea bags. There are a few producers that hand pick and process the tea leaves. Machine produced nilgiri teas are less expensive than artisan produced varieties. Keemun is cultivated exclusively in the Anhui province of China and is also known as Qimen Hongcha. Keemun is a high quality black tea that is popular among tea connoisseurs. Keemun has a strong flavor profile that is similar to wine. Keemun black tea is oxidized more slowly than other black teas. This produces a distinctive and nuanced flavor profile. This tea features hints of tobacco and pine with an aroma that is fruity and floral. Keemun tea is best appreciated without any additional sweeteners or additives. Honey, sugar, and milk all alter the distinctive flavor profile and should be limited. The flavor of Keemun is compared to unsweetened chocolate. These black teas undergo a slower withering and oxidation process, which results in a more nuanced flavor. Our Black Pearl Gunpowder Tea comes from Yunnan China and slowly unfurls in a stunning display when brewed. Yunnan black tea comes from the Yunnan province of China where it is called Dianhong. This type of black tea contains a higher concentration of delicate leaf buds called golden tips. These tea leaves produce a brassy orange color when they are brewed rather than the brown or black color associated with most black teas. 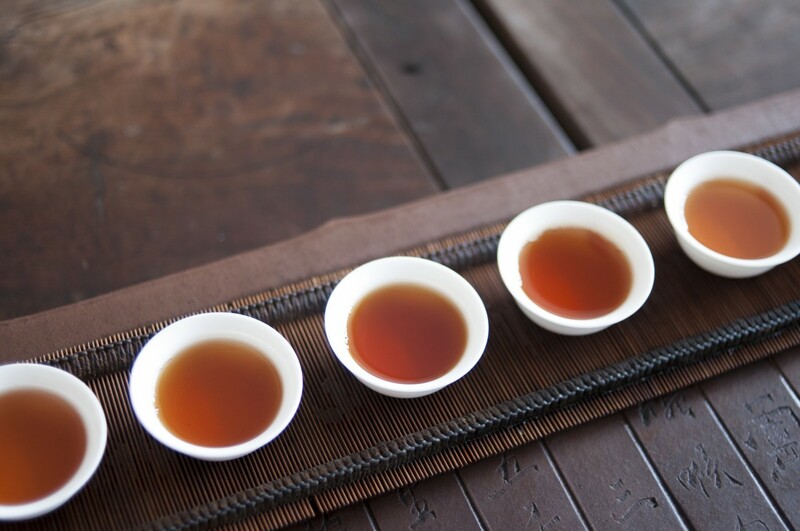 Yunnan tea is considered one of the most robust, yet refined Chinese black teas. 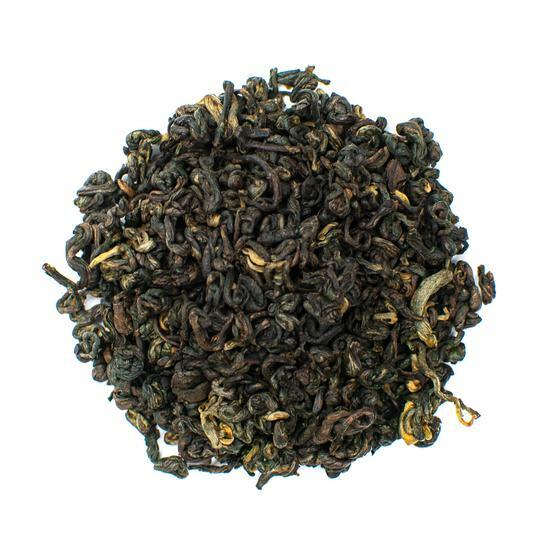 Yunnan tea features a rich, smooth flavor with hints of chocolate and honey. Some blends also boast a slightly peppery sweetness. Lapsang Souchong is called the 'whiskey of tea'. It features a potent flavor profile that has hints of tobacco and pine. This type of tea is grown exclusively in the high Wuyi Mountains of the Fujian province. What sets this tea apart from other black teas is its production process. Lapsang Souchong leaves are dried over a burning pine fire. The result is a delightfully smoky flavor and fragrance that stimulates the senses. Lapsang Souchong is considered one of the highest quality black teas and its flavor profile is particularly suited to people who enjoy strong flavors. It's often recommended as an alternative to coffee thanks to its bold flavor. Ceylon black tea comes from Sri Lanka and is named after the former official title of the nation. Ceylon black teas vary dramatically in flavor and aroma depending on where they are grown in Sri Lanka. Some tea plantations in Sri Lanka are located on the coast while others are high up in the mountains. Ceylon teas grown at higher altitude are golden in color and are considered higher quality. These high altitude teas have more nuanced and delicate flavors. Ceylon teas grown at lower elevations offer stronger flavor and are burgundy brown in color. In general, Ceylon teas have a strong flavor with notes of spice. They are typically deep black in color when brewed. English breakfast tea is created by mixing several different types of black tea. The traditional blend consists of Assam, Ceylon, and Kenyan black teas. Some English breakfast teas also include Chinese Keemun tea. English breakfast tea has a full-bodied, robust flavor that blends well with milk and sugar. The beverage is typically paired with a hearty breakfast and often garnished with slice of lemon. Most tea brands including Twining's and Harney & Sons offer an English breakfast tea blend. Irish breakfast teas usually consist of a blend of different Assam teas. Some Irish breakfast teas contain other black teas, but they are usually formulated with a focus on Assam teas. Irish breakfast tea is more robust and strong than English breakfast teas. These teas feature a malty flavor that is rich and smooth. To balance out the flavor, this tea is typically consumed with a hearty serving of milk. Irish breakfast teas are typically dark red to brown in color. 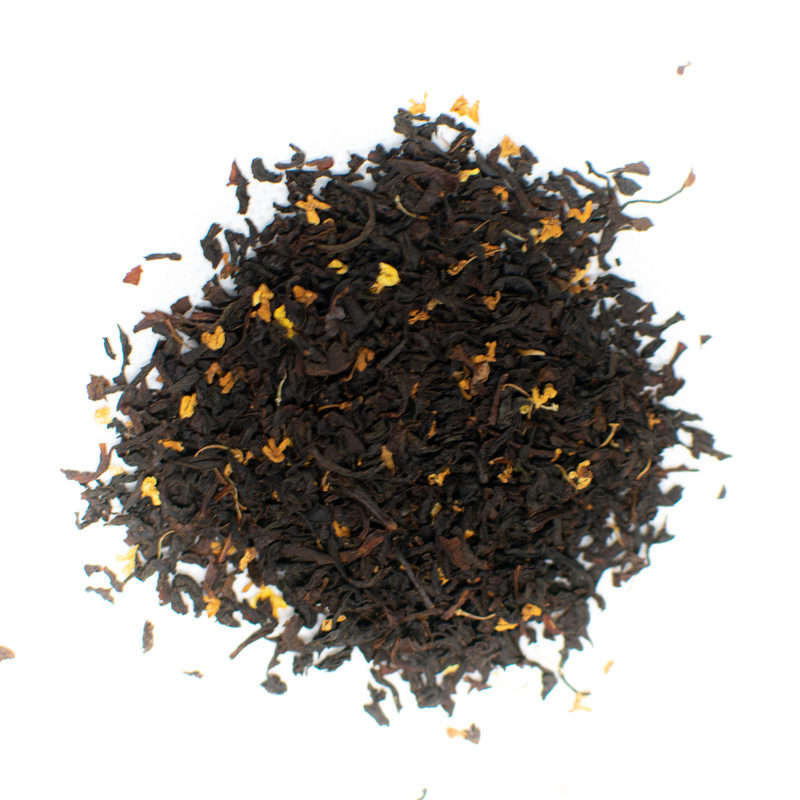 Earl Grey tea is a flavored black tea that features black tea leaves, which are infused with bergamot orange. The rinds of the bergamot orange are dried and then added to black tea leaves. The history of Earl Grey dates back to its inception in China although it truly became popular once the British started producing it en masse. 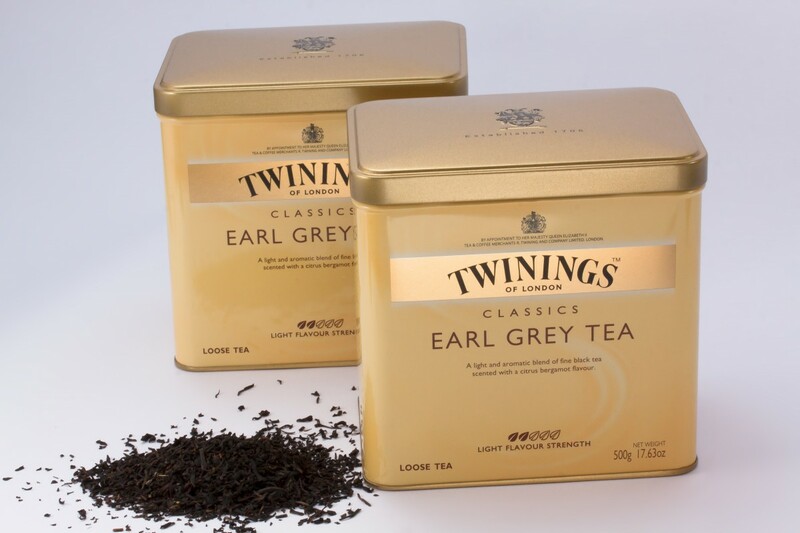 The famous London-based brand Twining's offers an Earl Grey tea as well as a Lady Grey tea. Lady Grey tea is a flavored tea that contains bergamot as well as the addition of lemon rinds. Today, these two teas have become a beloved favorite across the globe from the American continent to Asia. 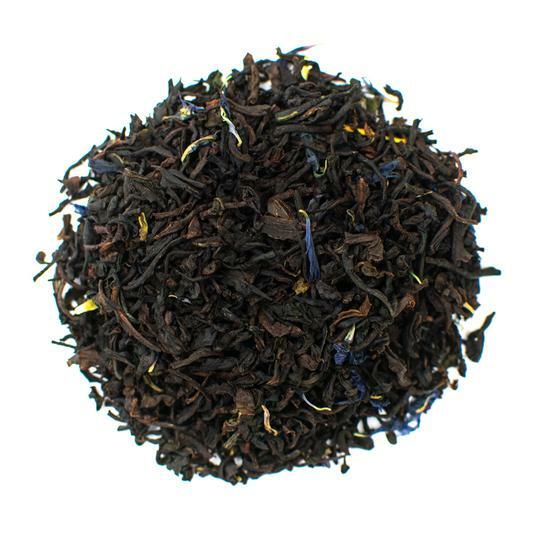 Earl Grey teas offer a refreshing flavor that is tangy with malty undertones. Masala chai is a wildly popular tea made by combining black tea with a variety of spices. Masala chai is typically brewed using Assam black tea and five spices including cinnamon, cloves, cardamom, ginger, and black pepper. Masala chai can also contain other spices such as anise and nutmeg. Assam black tea is used since it has a mild flavor that doesn't compete with the strong flavors of the spices. Masala chai is often consumed as a latte or with condensed milk. The sweet flavors of milk, honey, and sugar help to balance the spicy flavors of the chai blend. We always suggest using loose leaf tea rather than tea bags. Tea bags contain leaves that are produced using the CTC method, which is known as Cut-Tear-Crush. 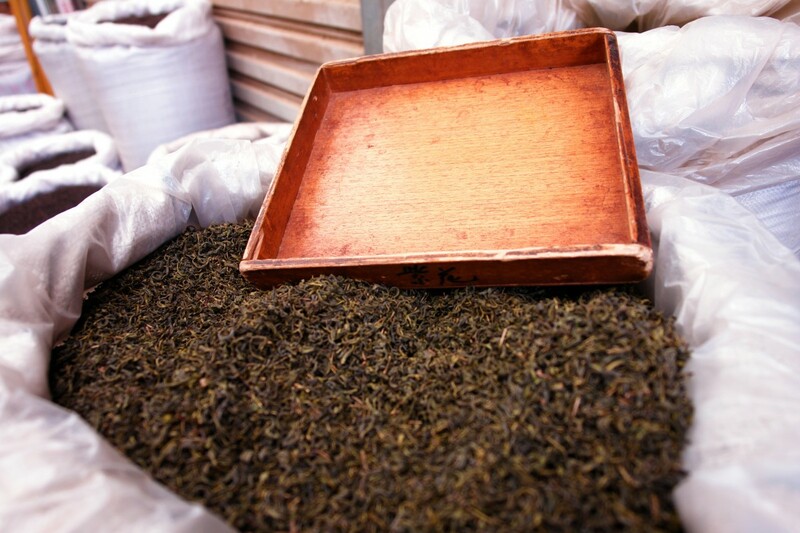 The tea leaves are placed in large machines where the leaves are broken into small pieces. These broken leaves, dust, and fannings don’t develop flavors as well as loose leaf teas. Tea bags may be cheaper, but you get what you pay for in terms of quality. Loose leaf teas contain hand picked leaves that are unbroken. These tea leaves expand in water and easily release flavor for a more enjoyable tea drinking experience. Opt for organic loose leaf black tea whenever possible. This ensures your tea is free from chemicals such as pesticides that can alter the traditional flavor profile. You can also easily find black teas that are fair trade certified if you wish to purchase from producers that grow tea ethically. Brew your black tea using only filtered or spring water for the best flavor. Tap water contains chemicals and additives that can alter the flavor of teas. Distilled water does not allow the tea leaves to fully infuse flavor and results in a weak flavor. Stick with spring or filtered water for the best tasting cuppa. When it comes to tea brewing, water temperature is essential. Tea, just like any food item, can burn when it is cooked too long or at temperatures that are too high. Fortunately, black tea is a relatively hardy tea and doe not usually develop bitter flavors like green tea does. Black tea should be brewed at temperatures between 200 and 212 F. For black teas that are only partially oxidized like pu-erh tea, brew at the lower end of the temperature range. The exact steeping time will depend on the type of black tea you are using. Follow the guidelines from you tea master or those printed on the packaging for the best results. In general, black tea should steep for 3 to 5 minutes. The flavor becomes stronger the longer tea leaves steep. We suggest brewing for 3 minutes and tasting in 30-second intervals to get the best flavor for your taste buds. Black tea is one of the most popular beverages in the world. With so many flavors, it's no surprise it's beloved across cultures. Try black teas from different countries to see which ones please you the most. 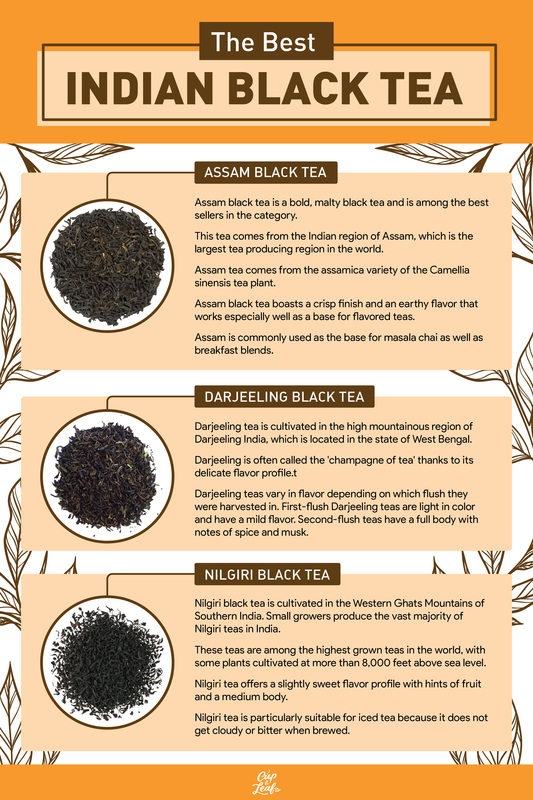 With this handy guide, you can easily discover which black teas suit your preferences.